Sara was the first liver that Sarah owned coming back as a puppy instead of a stud fee. In those days a liver was a rarity, so Sara had quite a fan club all over the world. She was a fantastic dog who taught Sarah so much about dog shows and picking up on local shoots. Roly was very mischievous. 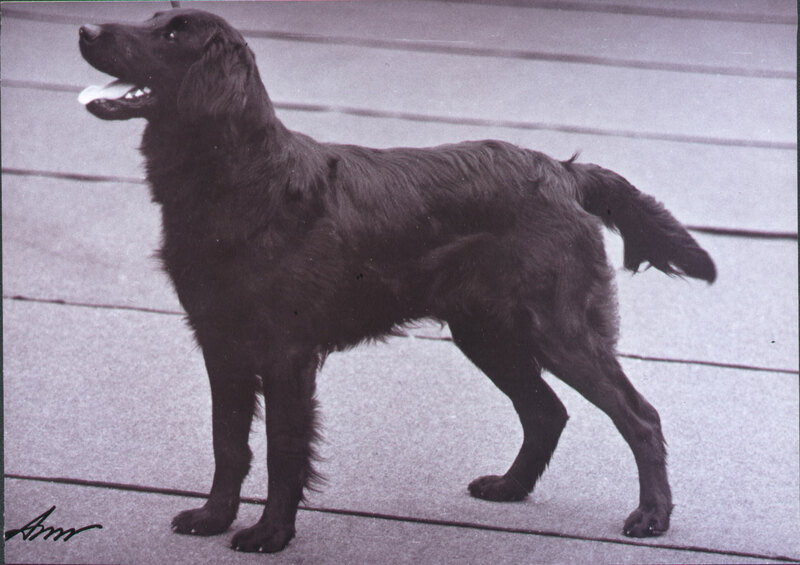 This picture is of him, aged 1 year and a day, at the Flatcoated Retriever Society Championship show in 1978 having won 3 seconds under Dr. Nancy Laughton. Camilla was a great family favourite. "Dear Amy" had the most amazing profuse coat. Was a wonderful character - a very happy go lucky girl. 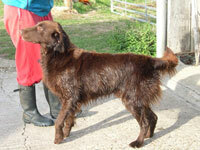 Baba was a great character and much loved favourite in the Bramatha Kennel. He was the only puppy in the litter, therefore he was rather spoilt. 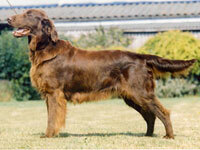 He enjoyed his days out in the shooting field and unfortunately never fulfilled his potential in the show ring. Ragnhild Ulin of the Almanza Kennel wrote "Masculine, powerful male with all the breed essentials. Long well moulded head well filled in between the eys. Lovely dark eyes and expression. Correct bite. Could have a better lay back of shoulder and longer neck. Good upper arm, bone and feet. Good body, correct angulation behind but could be a bit stronger in the rear. Moves beautifully from the side, could be a shade better coming and going. Very good coat and colour. Lovely "biddable" temperament." Kate was probably the most succesful dog handled by Sarah in working tests. Kate really excelled at both test work and picking up on local shoots. Kate is still talked about on one of the shoots were she was a regular. Blue was a great fun dog and a companion in the shooting field, as well as holding his own in the show ring. Murphy stayed in England until he was a year old and he and his brother (Blue) were an amazing "double act" coming first and second at numerous championship shows in the puppy class. He was placed in his class at Crufts, being shown by an overseas visitor whom he had never seen before, she thought it was a dream come true to show a dog at Crufts and win a prize. 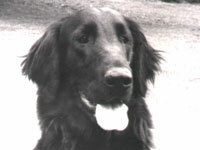 Murphy then went out to Australia to live with Gwen and Gary Methven. Lottie a pampered girl who even had her own armchair in the kitchen! George was one of 13 puppies. 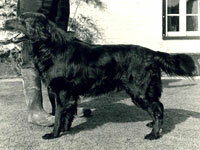 Affectionately known as "Dirty Bertie" and was an outstanding dog at rounding up the cattle on the farm. 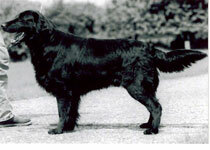 The first dog that Sarah owned and a gift from her Father, Philip Whittaker. When Prince won a Res CC from Post Graduate at Manchester in 1973 under the great all round judge Joe Braddon said "Not a big one but all type and quality, superb head and eye, very good mover."